The 13th Hit Open took place from 26th January till 1st February in Nova Gorica, Slovenia. 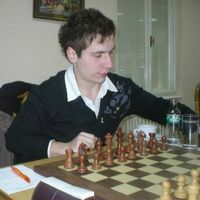 Main Open group (for 2100+ rated players) gathered 15 Grandmasters among 30 participants. 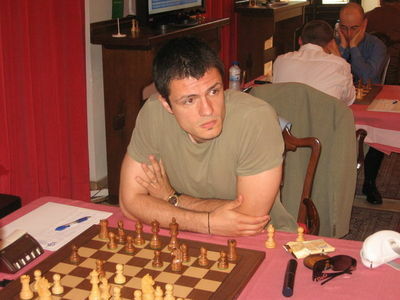 In such a dense field it was hard to achieve high scores and Bosnian star GM Borki Predojevic took advantage of two consecutive wins in round 7 and 8 to clinch the first place. See the games bellow. Newly promoted Slovenian Grandmaster, Luka Lenic, performed extremely well and grabbed second place after beating Croatian GM Nenad Fercec in the last round. Already on the third place tie there are nine players. Prize fund was 7.500 Euros, with 2.000 reserved for the winner. Italian candidate master Daniele De Val (2186) convincingly won Group B in spite of losing the last round to his countrymen Giuseppe Laco (2154). 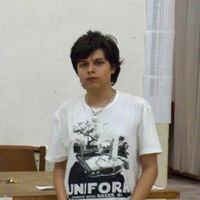 Daniele collected 7.5 points over the 9 rounds. There were 60 participants and prize fund was 1.000 Euros.